‘Safari’ is the Kizwahli word for journey so if you go on safari to see your Granny in Kenya it doesn’t mean that she lives with the lions and zebra! This was only one of the words that 8 S6 students and 3 staff from Drummond Community High School had to relearn on their visit to their partner schools Muthambi Boys and Girls this summer. The trip far exceeded our expectations both educationally and socially and it would not be exaggerating to say that it has changed the lives of students and staff in all three schools. After a long flight we arrived tired but happy in Nairobi. The minute you step of the plane everything is different, the heat, the smell, the buildings, the people and you know you’re in Africa. We embarked on a very full programme for our ten day visit which was a combination of working and meeting with the Kenyan students and learning a bit about the life of ordinary Kenyans and the experience was far more fun than the usual ‘Safari’ holiday. We took part in lots of projects, but here are just a few highlights. In Muthambi Boys school we converted a motley collection of damp and ancient old books on rickety shelves into the foundations of a school library With 8 boys working as volunteer Librarians we cleared shelves and set up some of the new and exciting books that we had managed to take out with us (packing only 2 pairs of knickers and 3 socks = more space for resources!). 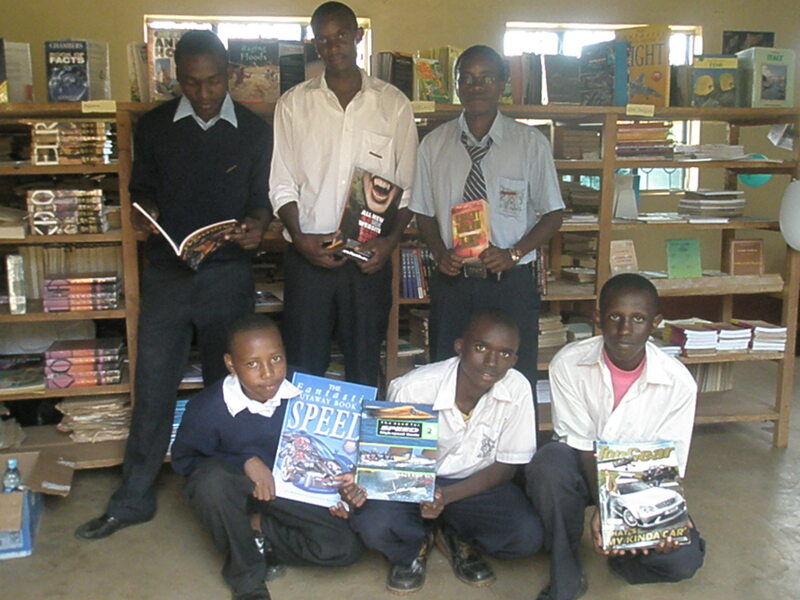 The Library will now open for the boys in the evenings and we hope to send out more books in the future. In the Girls school we taught lessons on Scottish poetry and did cookery demonstrations introducing the girls to shortbread, it was difficult to record their comments as their mouths were so full! We also took part in sports and games, music, tribal dancing and question and answer session on every topic under the sun, plus we made a short film on the life of a Muthambi schoolgirl. 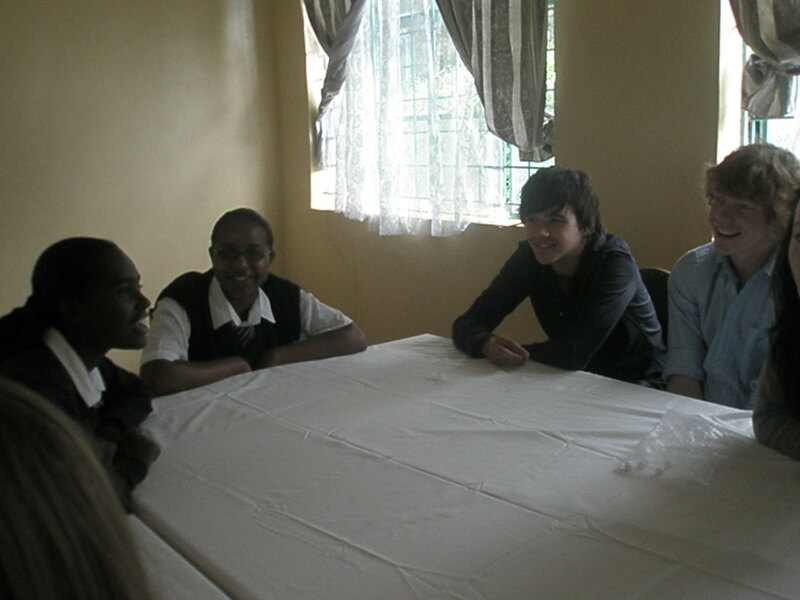 When we weren’t in school we were out experiencing Kenyan life guided by Muthambi staff and students. We visited a crocodile farm and handled ‘teenage’ crocs (yes they do have big teeth! 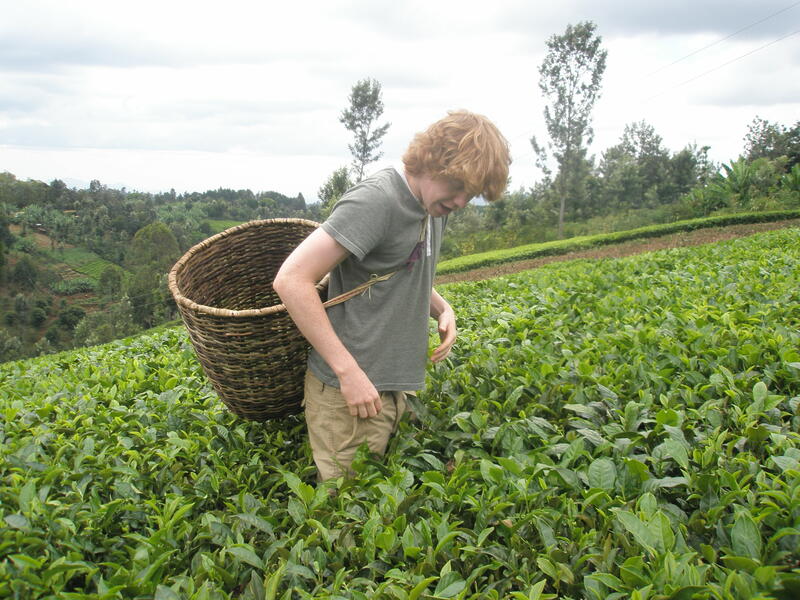 ), picked tea and processed it at a Fairtrade tea factory, were entertained by a smallholder farmer and his family, visited a government sericulture research farm along with local primary and secondary schools. The highlight was our ‘safari’ to a game conservancy project where we saw 4 out of the ‘big 5’ must see animals. 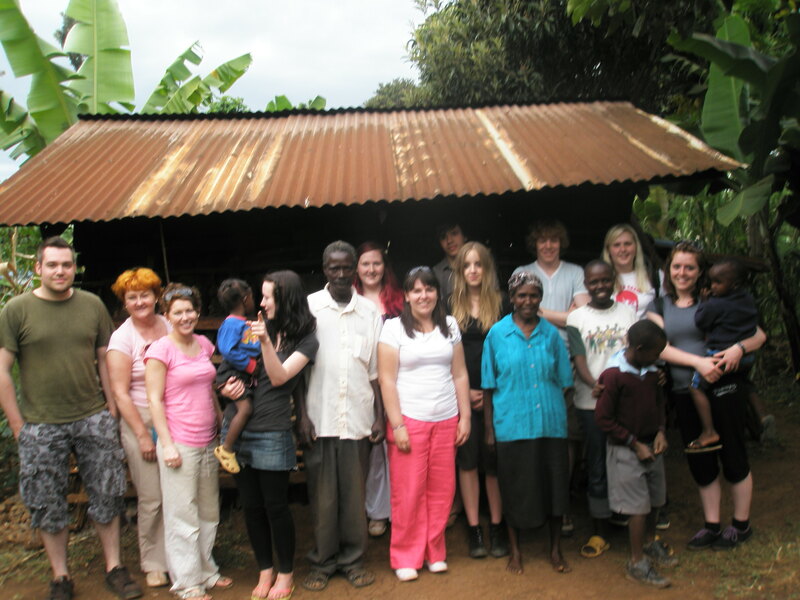 Our S6 have left for work, college and university but inspired by their experiences they would like Drummond students to have the wonderful opportunity of a return visit by our Kenyan friends. Apart from strengthening our curricular links we are hoping to raise £15,000 to bring 8 students and 2 staff over to Drummond in June 2011. Our ex-S6 will be working alongside our new group of students and will be running fundraising activities throughout the year. We are looking for help with ideas for raising money, grant opportunities and hospitality for the return visit. If you have any ideas or would like to help out please contact Annie Scanlon on Tel: 556 2651, at admin@drummond.edin.sch.uk or pop into the school sometime for a chat. We would like to thank the Spurtle and its readers for their support, parents and adult students at DCHS plus the John Watson Trust and Leith Links Community Council for their generous grants.